Sure, it’s been a while since my last Oscar post, so call it cheating, but some things have been shaken up since. In fact, I’m feeling with the onset of Flight mania, my Best Picture and Best Lead Actor posts are probably obsolete. Though at least I have my Best Lead Actress post to keep me comfortable – though there’s probably some obvious misstep in there too. Luckily I took a look at the early reviews for Lawless this morning, and things aren’t looking good – methinks the lovely ladies of that movie won’t be making this conversation any longer. But I digress! The Returning Winners: In this very mixed-bag field of 2012, there are several returning winners at play, including Annette Be – oh wait… wishful thinking I suppose. But in all seriousness, we have a few professional Oscar gals in the competition. 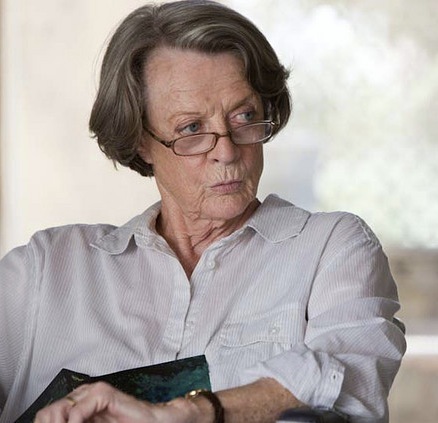 For starters, there are the already-released Maggie Smith as the ornery wheelchair-bound senior in The Best Exotic Marigold Hotel and Frances McDormand as the kooky mother and secret paramour in Moonrise Kingdom. Neither lady has caused a major stir, per se, but neither can ever be counted out and both were a part of sleeper hits. Then there are a few coming up rather quickly down the pipe. 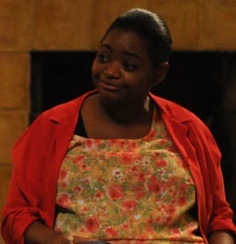 Last year’s champ Octavia Spencer may have a questionably small role in the addiction drama Smashed, but the move has gotten some positive festival feedback and Sony Pictures backing, so who knows? Then there’s Holly Hunter, who based on the trailer probably has a plum little role as an administrator in the education drama Won’t Back Down. She hasn’t really been in the conversation for about 10 years, but let’s be real – she’s definitely due. And yes, The Paperboy has received a lot of outlandish attention, but attention nonetheless. And Nicole Kidman reportedly goes for it – will the movie have any camp fans out there in voters, though? And then there are those that will likely see a later release this year – will they have the attention to gain traction, or will their co-stars take all the glory? 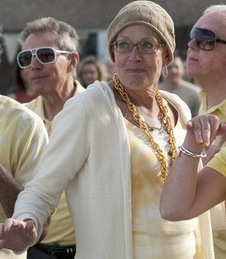 Vanessa Redgrave takes the title role in the British senior citizen choir flick Song for Marion, though it might be too light of fare for voters, and she couldn’t seem to buy herself a nomination for Coriolanus. Still, British comedy seems to connect a little more easily. Sally Field has an obviously key role in Lincoln, though she hasn’t really come close to a nomination since 1984’s Places in the Heart – it seems far-fetched that she’ll make a return trip. Finally, Rachel Weisz has a supporting part in Terrence Malick’s latest, but will To the Wonder be too much, too soon after Tree of Life amassed so much love last year? Those Facing Internal Competition: Though it’s been said – I’m pretty sure – that this category is the easiest to find a double nomination from the same movie, it’s still a tough battle for any. Those ladies facing competition from within their own casts include the duo from Silver Linings Playbook, Jacki Weaver and Jennifer Lawrence, the former of which seems to have a nice role based on the trailer and the latter of whom could be a stretch in this particular love interest role. Weaver probably has the edge in this battle. Then there are the ladies from Anna Karenina, Olivia Williams and Kelly Macdonald, both of whom have had close calls with Oscars but have just missed. A lot will depend on the overall feeling about the film. 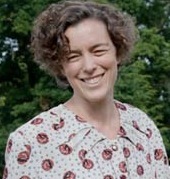 Much will definitely depend on Laura Linney’s placement, but the big biopic roles in Hyde Park on Hudson include Olivia Williams as Eleanor Roosevelt and Olivia Colman as the Queen of England. 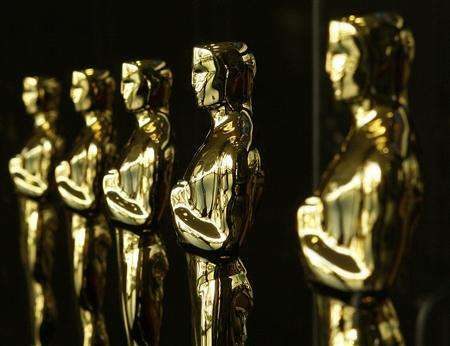 On its face, these should be easy gets for nominations, but the former Olivia seems to be catnip for Oscar voters despite several baity roles through the years in Oscar-hailed films. Perhaps the likeliest of double power players comes from the buzzy Paul Thomas Anderson flick The Master, which boasts a shoo-in nod for perennial favorite Amy Adams and a fuzzy role for previous nominees Laura Dern, though her being missing from most of the promotional material is worrisome. Those Ladies and Their Major Motion Pictures: They aren’t plentiful, but there are a few potential contenders amongst the big budget epics and the like. 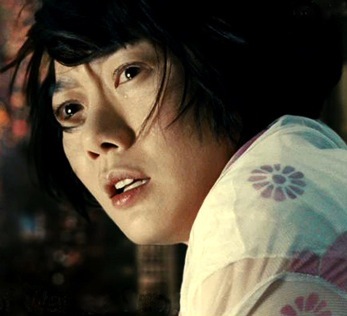 Donna Bae may not be name-recognizable, but what looks like a key role in the mysterious Cloud Atlas could pay off. And Anne Hathaway looks like she could possibly walk away with the show in Les Miserables. And speaking of scene-stealing, that same Anne Hathaway pulled off the unthinkable and put her own successful spin on Catwoman in The Dark Knight Rises – but are voters really as eager to nominate her for it as Heath Ledger’s slam dunk in 2008? And I can’t count her out just yet – though Sparkle hasn’t exactly had glowing reviews, most critics are willing to confess that Whitney Houston is the highlight. Could a Globe nomination be possible for the late chanteuse? And the Rest…: As I’m running out of ways to categorize these actresses, I’m going to pile in the rest of the crop here. 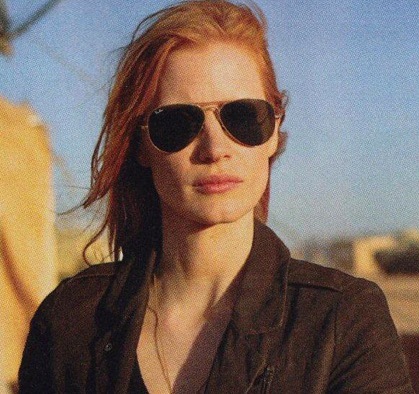 Jessica Chastain has made quite a wave in the past year-and-a-half, and from the looks of the teaser she might have a great performance in her in Zero Dark Thirty. But Bigelow didn’t really rake in the acting nominations for her cast in 2009, so who knows… Quvenzhane Wallis is clearly a lead for Beasts of the Southern Wild, but her age deficiency will likely tempt the studio to push her here. Pauline Collins hasn’t been around in earnest since Shirley Valentine, but a nice supporting turn in Albert Nobbs helped put her back on the map – will she be one of the Weinsteins’ pushes for Quartet? And my beloved Annette Bening must be mentioned – playing girl-of-the-moment Kristen Wiig’s mom in Imogene could be just the move she needs to make real progress toward that long-awaited Oscar. And the current barrage of buzz is unavoidable – Ann Dowd is clearly making some surprising waves as a woman with ill intentions in indie drama Compliance. Whether or not she’ll have the support to make it to the red carpet is still up in the air, but it’s hard to deny her web support. Helena Bonham Carter does well with Oscar when it comes to costume drama, and the most notable role in Great Expectations certainly shouldn’t hurt. Kerry Washington has what seems to be the sole female role in Tarantino’s Django Unchained (unusual when you think about it), and the director has a history of doing well with female thespians. Isabelle Huppert rounds out a cast of foreign lovelies in Amour, and Carey Mulligan guns for her second nod in the Coens’ music pic Inside Llewyn Davis. Kristin Scott Thomas has been itching for her second as well, this time with the Refn Drive follow-up Only God Forgives. And, sure, a strange way to end this, but if Take This Waltz gets any kind of attention elsewhere, Sarah Silverman must be mentioned – her critical response has been generally positive, and the move could have some good home video surge late in the year.